Provided the claims are approved by the Army Council, the Star will be granted to all officers, non-commissioned officers and men of the British and Indian Forces, including civilian nursing sisters, nurses and other employed with military hospitals, who actually served in France or Belgium, on the establishment of a unit of the British Expeditionary Forces, between the 5th August 1914, and midnight of the 22/23rd November 1914. The 1914 Star could not be awarded on its own and was always accompanied by the British War Medal and Victory Medal. 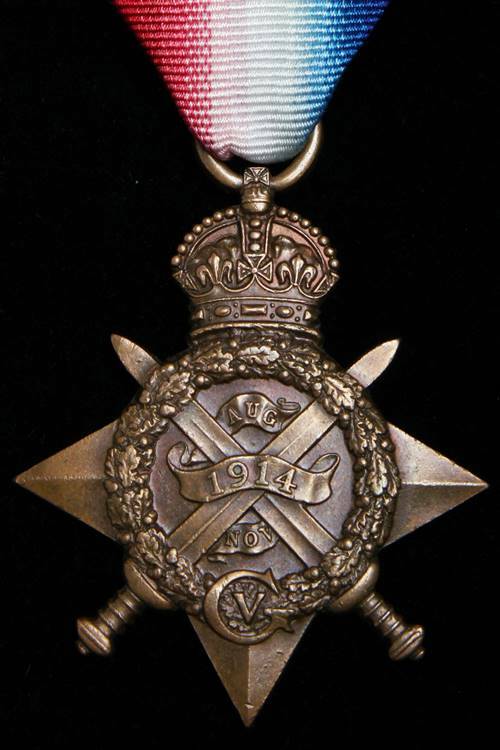 Men who served in other theatres of operations outside France and Belgium between 5 August and 22 November 1914 were awarded the 1914-15 Star. On this solemn day [4th anniversary of war] may I put in a plea that the decoration so prized by the remnant of our ”Old Contemptibles” shall be called by its correct name, the ”1914 Star,” and not the ”Mons Star”? Only two divisions were fully engaged at Mons, and our greatest glory in 1914 was the first battle of Ypres. Army Order 361 of 1919. You will often see the phrase “Clasp & Roses” or “C&R” recorded on the Medal Index Card of soldiers who qualified for the clasp. 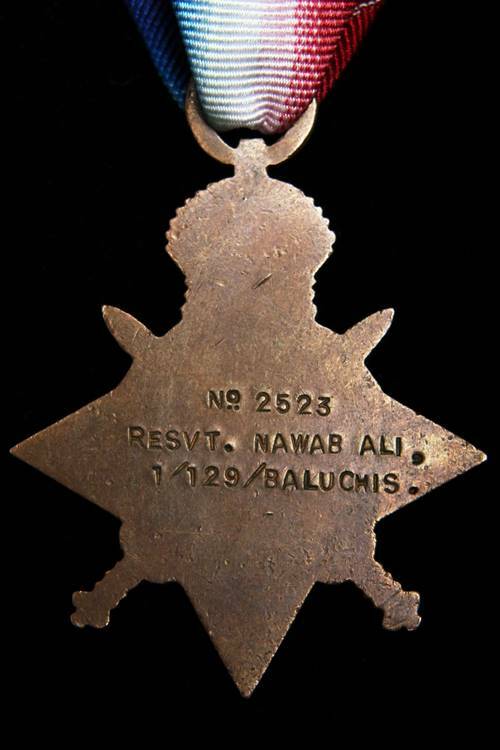 However, this is not always recorded on a Medal Index Card even when a soldier qualified for the clasp. Obverse: A star surmounted by the Imperial Crown and crossed by two swords. 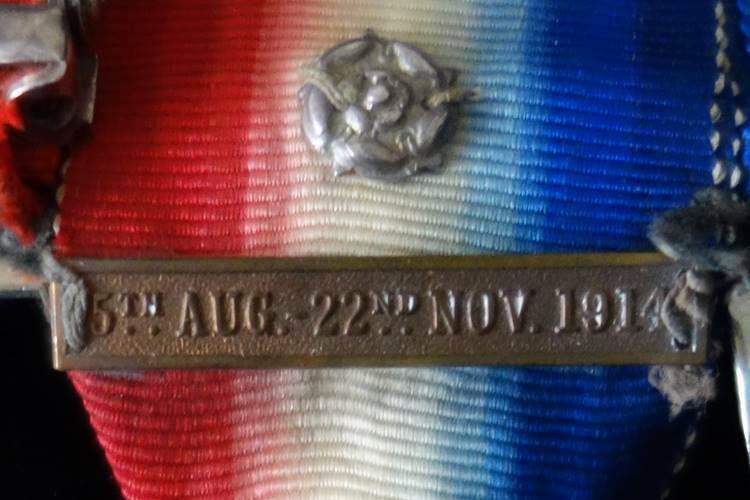 The medal has three scrolls, the central of which contains “1914”, while the one above, “AUG” and below, “NOV”, representing the qualifying period for the medal. The royal cypher of King George V,”GV” is below, resting on a laurel wreath which encircles the scrolls. Reverse: Plain. The reverse of a 1914 Star is impressed with the recipient’s details including name, regimental number (if applicable), unit and rank. Size: Height 62 mm, width 44 mm. Naming: Impressed in block capitals on the reverse. 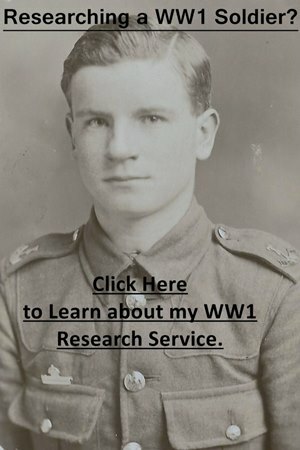 There are two documents available which record the award of a 1914 Star to a soldier who served the British Army during World War One: a Medal Index Card and an entry in the 1914 Star Medal Roll. There will also be a separate Medal Roll entry for the British War Medal and Victory Medal. I have written a separate guide to help you find and interpret these records: Guide to the Medal Index Card and Medal Roll. Both of these records are available to view on Ancestry with Medal Index Cards usually being free to view and download. Clicking on the banner below will take you to the site.